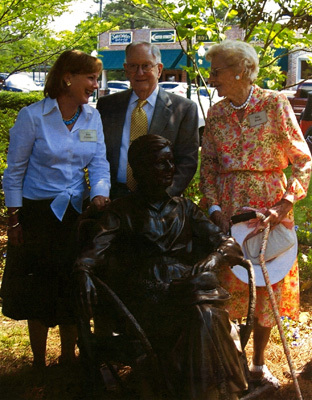 Sculptor Susie Chisholm (left) with her Aunt Polly Brooks (right) and Mayor Berlin G. Myers, Sr. (center) at the dedication ceremony of the sculpture "The Garden II". 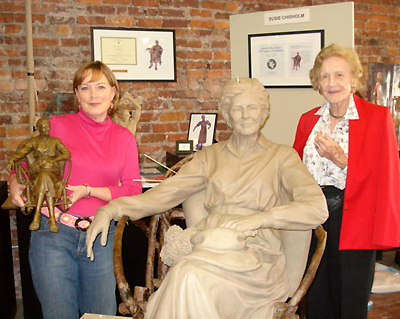 Sculptor Susie Chisholm (left, holding the maquette sculpture of "The Garden") with her Aunt Polly Brooks (right) and the clay version of "The Garden II" sculpture. 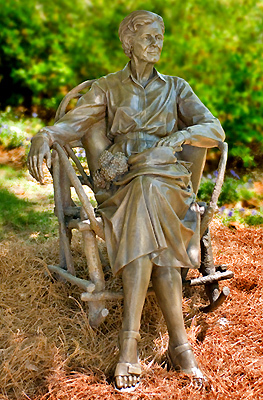 Photograph by the "Savannah Morning News".